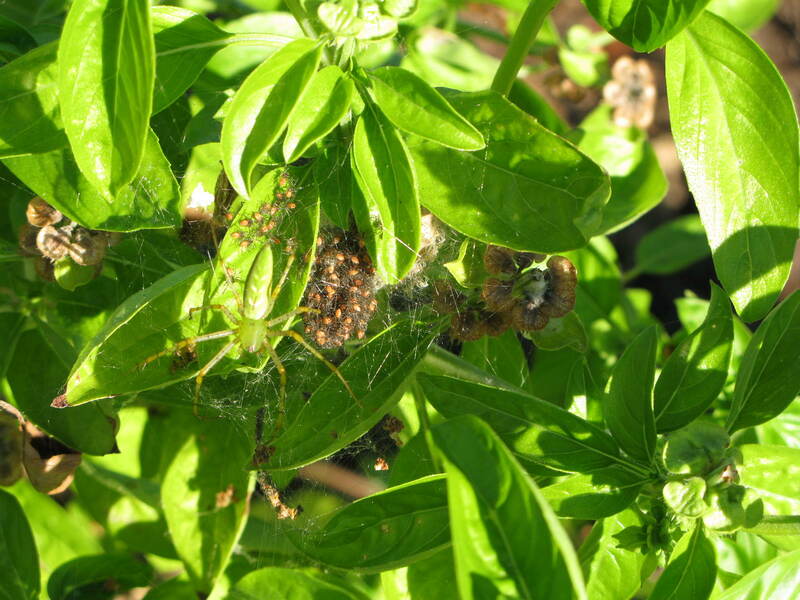 All season I’ve been watching a green spider that’s been hanging out in the basil. I’ve learned to appreciate spiders, so I didn’t bother her. 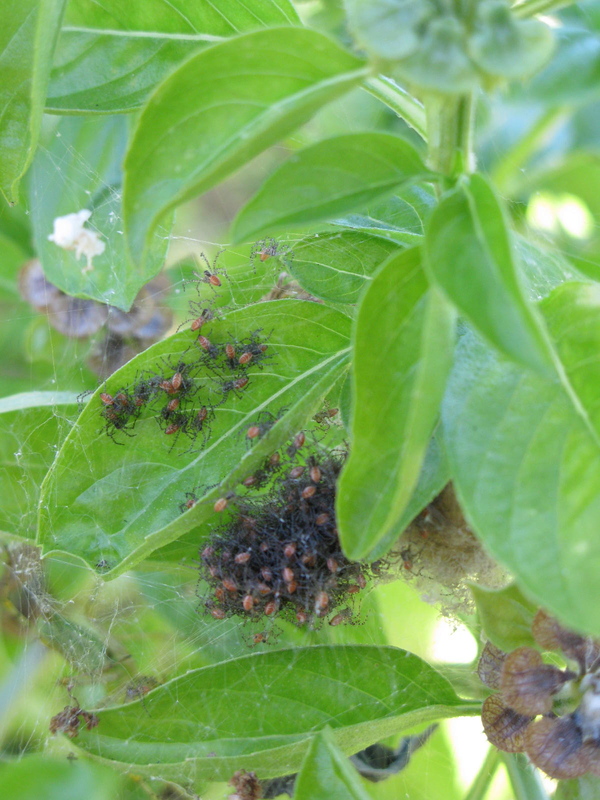 A few weeks back I noticed a nest and hundreds of baby spiders that had hatched. Here’s some cool pics I took. You can even see momma watching over her babies. 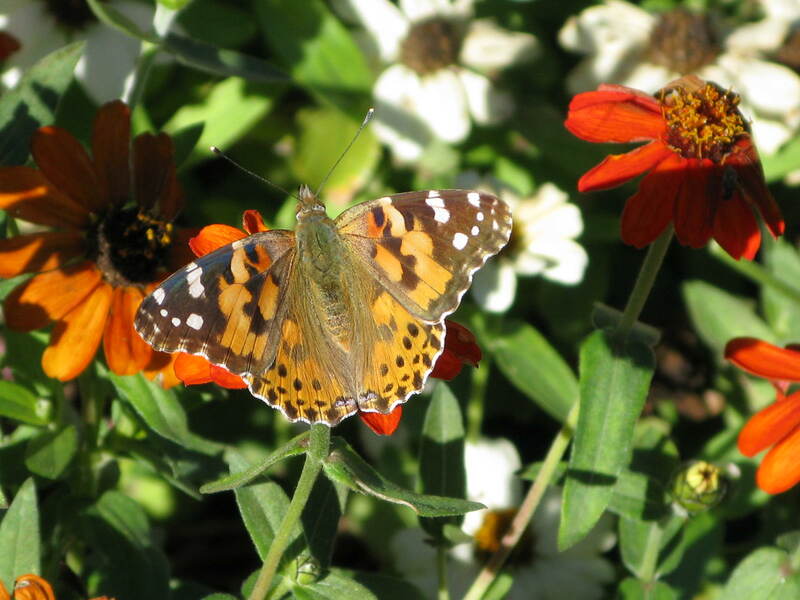 I also saw this great butterfly in the zinnias last weekend. 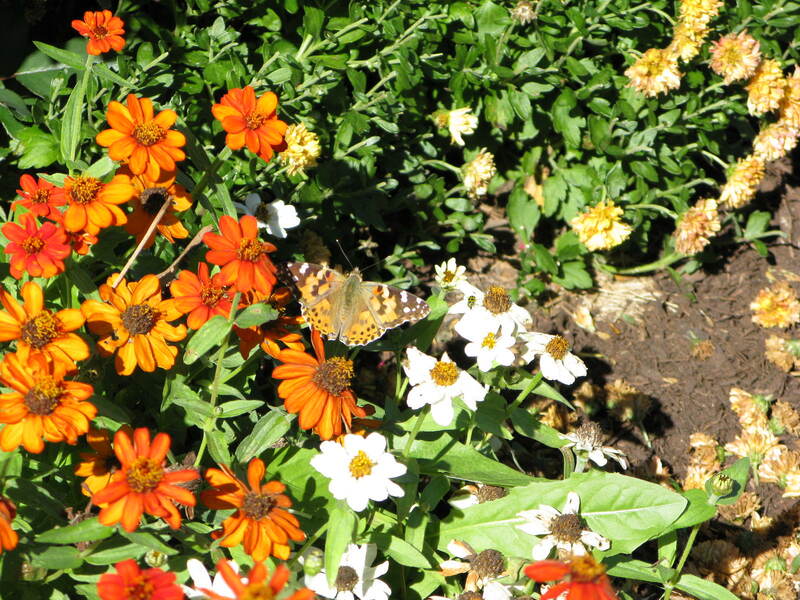 Unfortunately, I won’t be seeing any more anytime soon, since the cold weather killed off the last of the zinnias.